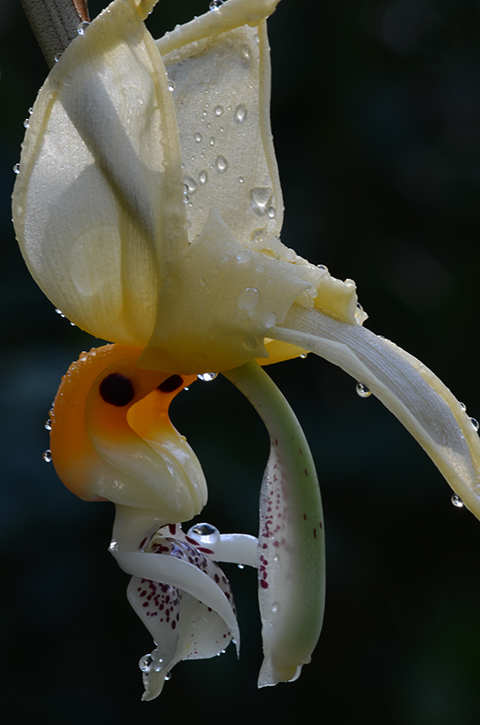 Stanhopea frymirei captured in the early morning light immediately after watering. Photographing a Stanhopea can require a lot of patience. The tiniest adjustment in the plant's position sets the basket swinging like a pendulum for an eternity. Stanhopeas are extraordinary orchids. The flowers are elaborate, enormous and intensely fragrant. The fragrances are complex mixtures of floral, culinary and resinous scents. They are delicious! 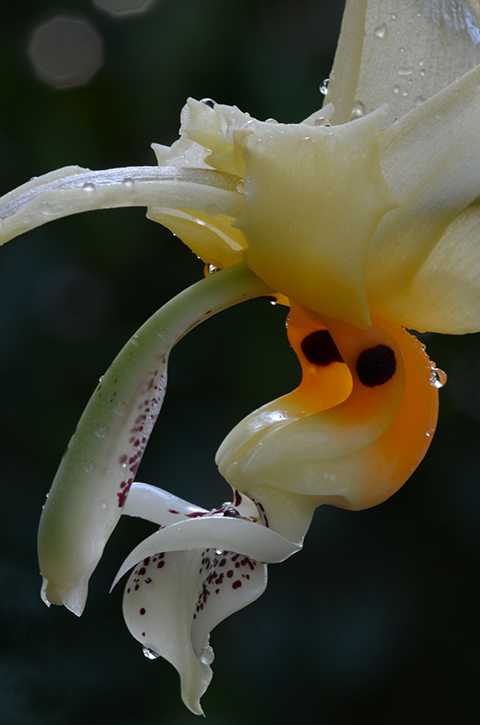 At first glance a Stanhopea flower can be baffling. But like all other orchids they have three petals and three sepals. The elongated part with two eyespots and two white horns is the lowermost petal, or lip. Reflexed backwards like enormous wings are two sepals. The third sepal arches forward, pointing toward the four-o'clock position. Over the top of that sepal are the two remaining petals which roll inward toward each other. 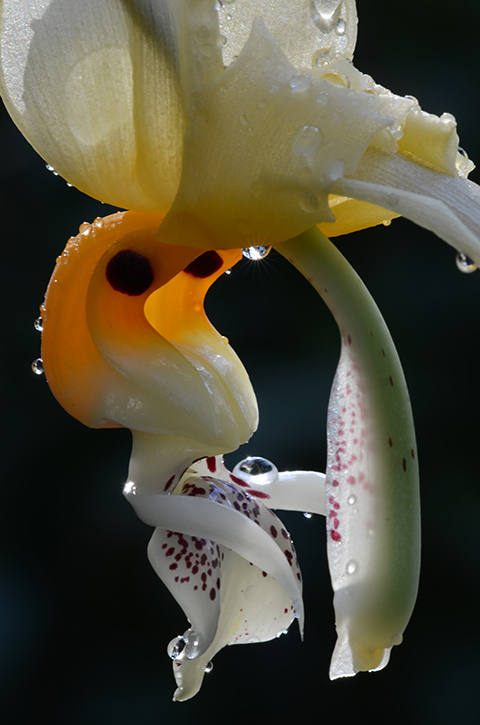 The reproductive part of the orchid flower, the column, is greenish-tinged in the picture above. Together with the lip, it forms a chute that channels a visiting bee toward the pollen. The yellow pollen masses can be seen in the second photo at the far end of the column, backlit and glowing yellow.